Many popular diets advise against eating anything white - rice, sugar, white bread and pasta. However, cauliflower is one white food you should feel good about incorporating into your diet. Cauliflower - a cruciferous vegetable which is in the same plant family as broccoli, kale, cabbage and collards - contains a variety of vitamins, minerals and plant nutrients, that may help neutralise damaging toxins. But there is a new reason this vegetable shouldn't be underestimated. A study published in the European Journal of Cancer has given further reasons to serve up some of this fibrous gem. Conducted in 2015, researchers found a link between the consumption of fruit and white vegetables, namely cauliflower, and a lower risk of stomach cancer. Following analysis of over 32,000 gastric cancer cases and assessing their respective diets, the researchers discovered sodium and alcohol, specifically beer and liquor, to be particularly high-risk dietary factors. They then realised foods rich in vitamin C tend to have a "protective effect" against gastric cancer. Such foods tend to be fruit and white vegetables that include potatoes, endives, onions, and our number one vegetable, cauliflower. What are some of the health benefits of cauliflower? Around 100 grams of raw white cauliflower provides 25 calories, is low in fat and carbohydrates. It is also an excellent source of vitamin C, and a very good source of manganese. 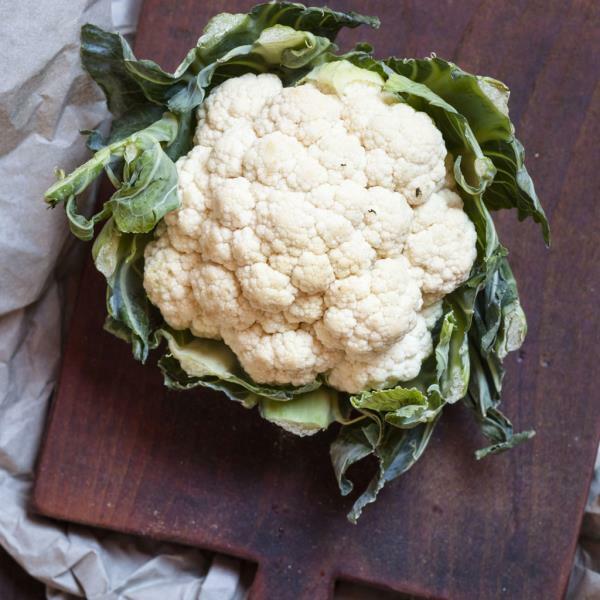 To receive health benefits, include cauliflower as one of the cruciferous vegetables you eat on a regular basis. At a minimum, include cruciferous vegetables as part of your diet 2-3 times per week, and make the serving size at least 1-1/2 cups. When purchasing cauliflower, look for a clean, creamy white, compact curd in which the clusters are not separated. Spotted or dull-coloured cauliflower should be avoided, as well as those in which small flowers appear. Heads that are surrounded by many thick green leaves are better protected and will be fresher. Store uncooked cauliflower in a paper or plastic bag in the refrigerator where it will keep for up to a week.